Tina Fey and Paul Rudd are paired for the first time on-screen in Focus “Admission,” the new comedy/drama about the surprising detours we encounter on the road to happiness. In “Admission”, high school seniors anxiously await letters of college admission that will affirm and encourage their potential. At Princeton University, admissions officer Portia Nathan (Tina Fey) is a gatekeeper evaluating thousands of applicants. Year in and year out, Portia has lived her life by the book, at work as well as at home. When the Dean of Admissions announces his impending retirement, the likeliest candidates to succeed him are Portia and her office rival Corinne (Gloria Reuben). For Portia, however, it’s business as usual as she hits the road on her annual recruiting trip - a usual trip that may just have unusual results for her. Catch the trailer of "Admission" after the jump. 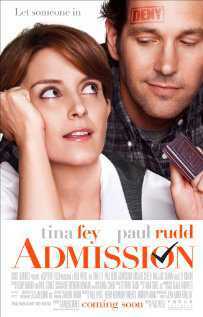 “Admission” will be shown exclusively at Ayala Malls Cinemas starting March 22 – the same opening day in the United States. Moviegoers can catch the film at Glorietta 4, Greenbelt 3, Trinoma, Alabang Town Center and Market! Market!